"Provide A Listening Purpose During Author's Chair"
FAQ: How do I make the Author's Chair a more meaningful experience for the whole class? Answer: The writer's workshop should end with an Author's Chair. 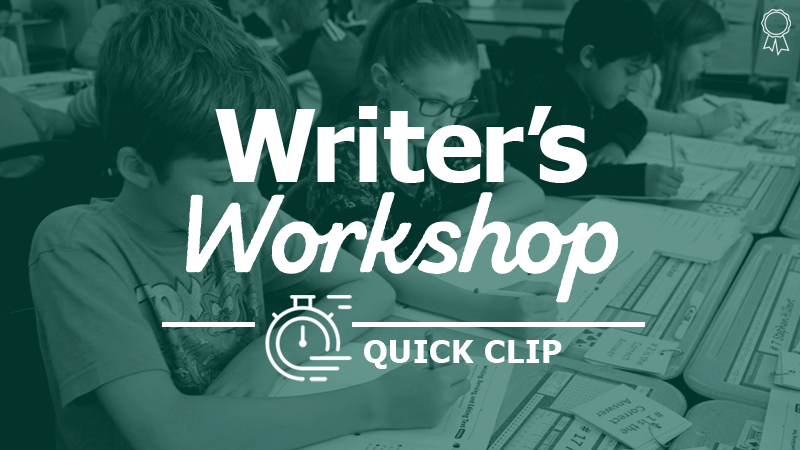 This 3-5-minute all-class meeting is intended to highlight some of the great writing generated that day. However, if you're not intentional, the show-and-tell nature that often permeates the Author's Chair can make it a long and rather purposeless time of the workshop.